The first thing Rachel noticed was that she was cold. She lives in Sierra Leone which is tropical and it is never this cold. Rachel had just seen her mother and two of her sisters die from a horrible disease. They were fine and healthy and then just a few days later dead. Her country was in the midst of an outbreak of Ebola, a horrible hemorrhagic virus that is highly contagious and deadly. Victims literally bleed to death. Rachel was 6 years old. Rachel quickly worsened, and just a couple of days after first becoming ill she was unconscious. 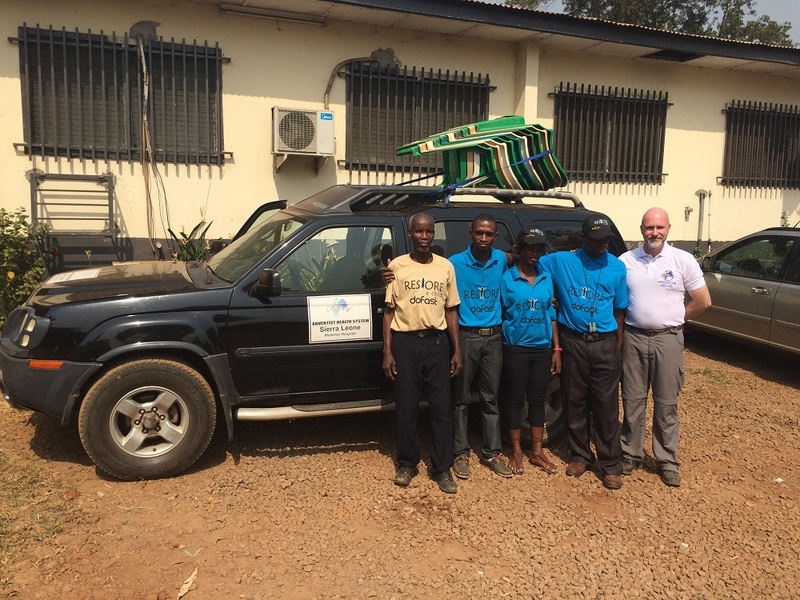 Sierra Leone by this time had established Ebola Treatment Centers (ETC) around the country, and when a new case was suspected, special ambulances were dispatched to pick up the patient and transport them to the nearest ETC. 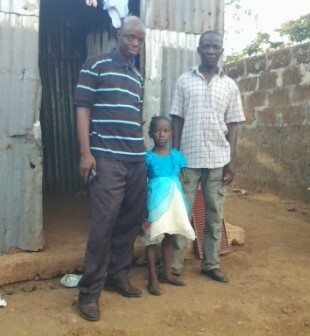 For some reason known only to God, the ambulance passed many ETC’s and brought Rachel to Waterloo Adventist Hospital (WAH), 50 kilometers away. 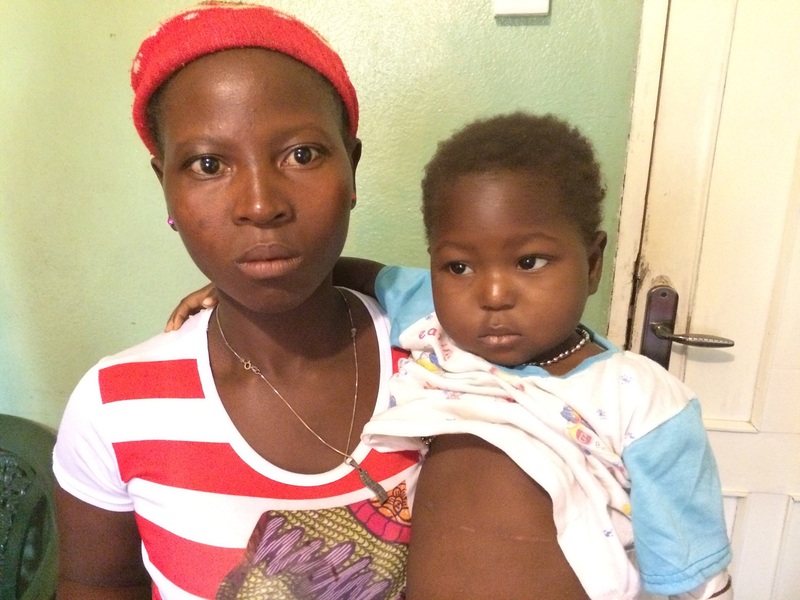 Because Ebola is so contagious her family was not allowed to come with her. This happened toward the end of the crisis, so by this time all the Ebola victims at WAH had either died or been discharged. And so it was that Rachel was gently placed on a bed in the “Red Zone” of the hospital, the only patient there. All ETC’s were divided into “Green” and “Red” Zones. Green zones were “safe”, there were to be no Ebola patients in this area, the patients were all confined to the “Red Zone”. Because she was unconscious she could not eat or drink so she was given fluids through her vein and started on antibiotics to treat the secondary infections that often come with a viral infection. 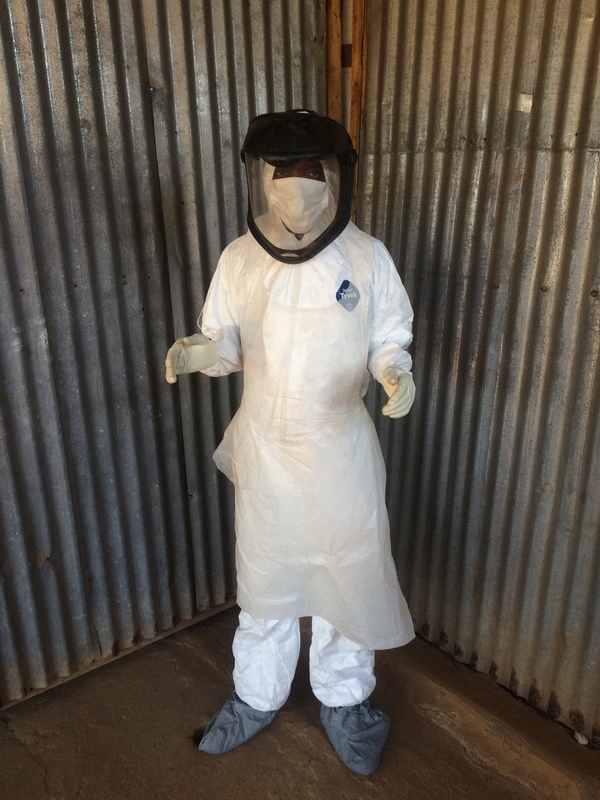 To care for Rachel, James Abu the treating provider, would have to enter the Red Zone wearing his Personal Protective Equipment (PPE), a heavy thick rubber and plastic suit that covered every square millimeter of his body to protect him against any chance of coming in contact with the deadly virus. It only takes one to ten viruses to start an infection and most patients had a viral load of millions in each drop of blood. The staff had to limit their time in the Red Zone to 2 hours simply due to dehydration issues, they would sweat so much in their suits that the large plastic boots they wore would be full of sweat by the time they removed them. For two days, each time he checked on Rachel, she was in her bed, unconscious. He made sure she was receiving her medication, that she was kept hydrated and turned. The staff at the hospital were determined to do all that was possible to save this last little victim. And they diligently prayed for her, asking for God’s healing power, as they did for all their patients. His heart ached to see this little one so ill. The only good thing was that she was asleep and no longer suffering. On the third day after a two hour break Mr. Abu painstakingly donned his PPE and returned to the Red Zone to check on his little charge. Her bed was empty! Mr. Abu searched the ward, no Rachel, he called for her, he looked under the beds, he looked in the closets and cupboards. He went outside the ward and looked along the fence and toward the gate. Rachel was nowhere to be found. He could not figure out where the unconscious little girl had gone. Had her family found out where she was and come and taken her? Had she died and someone else had taken the body? Where was his patient? So he searched again, looking in every nook and cranny, every ward every corner. Finally he found her sound asleep, half on and half off another bed in the central receiving hall of the hospital. She had come out of her coma and had walked through the hospital, all alone, until she had gotten tired and tried to crawl up onto the bed where she fell asleep. Can you imagine what went through this little girl’s mind when she woke up. She had passed into unconsciousness at home, and now she woke up in a strange, huge building with lots of empty rooms and empty beds, and not another living soul. When she woke again it was to the sight of a creature from outer space, covered from head to toe, definitely not human. James was finally able to calm the frightened little girl with a favorite canned drink he had saved for himself, and she drifted off to sleep again. Although she was still very ill, this little girl was not one to give up easily. She battled bravely on for 3 weeks and was finally discharged and reunited with father, all that was left of her family, alive and healthy. 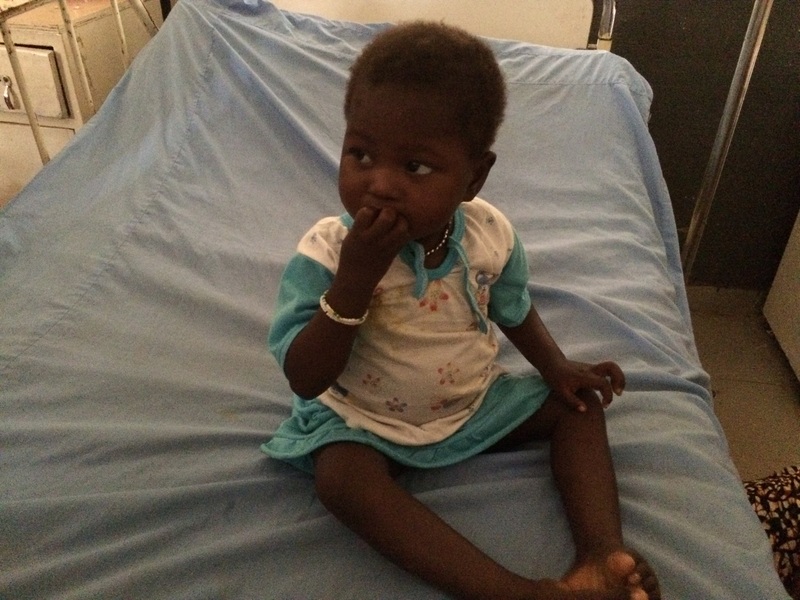 The prayers of James Abu and the staff at Waterloo Adventist Hospital were answered. Ebola will be with us until Jesus comes, and it will continue to spring up from time to time and place to place in West Africa. 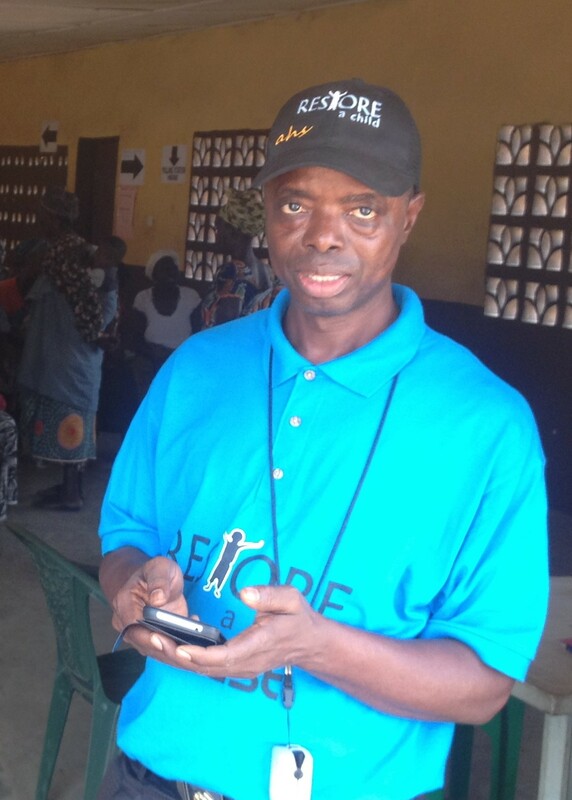 By God’s grace Sierra Leone will not have to endure another epidemic as they did in 2014-5, but the scars of Ebola are ever present. The mental scars of those who were ill and survived and of those who lost many members of their families to the awful disease continue to haunt them. The survivors suffer from guilt because they survived and others did not. They returned home to stigmatization, shunned by family, friends, and co-workers who were afraid of them, and sometimes angry with them. The epidemic affected the country in other ways, it devastated the economy, hurting industry, mining, tourism, causing unemployment, inflation, and increasing poverty in an already poor nation. 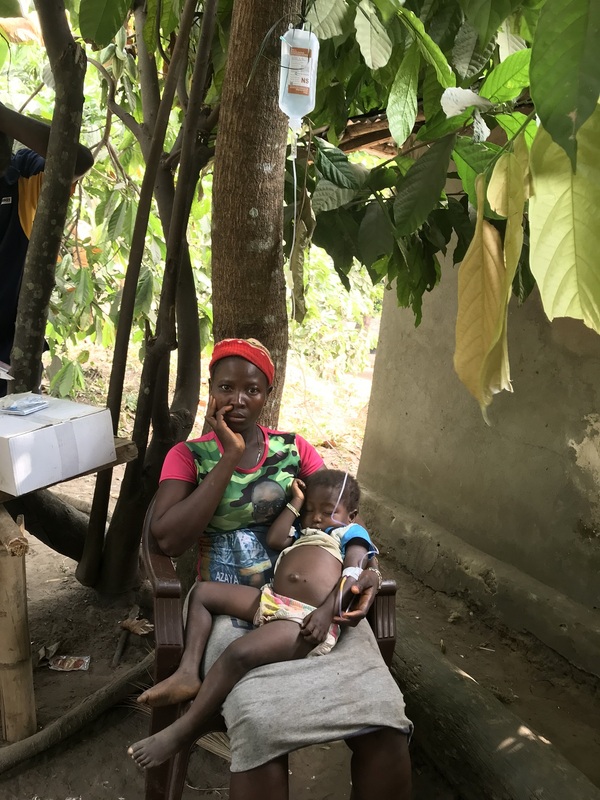 Although Ebola is no respecter of age, it is often the children who suffer the most, they are most vulnerable and many either died or were left as orphans. Sierra Leoneans are a resilient, optimistic group of people but it will continue to take outside help for years to come as this country seeks to rebuild.